The professional development of Irish amateur standout Aaron McKenna continues tonight at The Avalon club in Hollywood, California. The 19-year-old welterweight prospect will face Rolando Mendivil in the opening bout of the inaugural “Golden Boy Fight Night” on Facebook Watch topped by the Jesus Rojas-Joseph Diaz Jr. fight. The show, which includes an interesting matchup between unbeaten up-and-comers Jonathan Navarro and Damon Allen, begins streaming live at 6:00 p.m. PT. McKenna stares down his opponent for the inaugural “Golden Boy Fight Night” on Facebook Watch. The winner of Navarro-Allen will advance to 10-round bouts with regional titles and sanctioning body rankings on the line. McKenna, who only has four pro bouts under his belt, is at least 18 months away from that level. 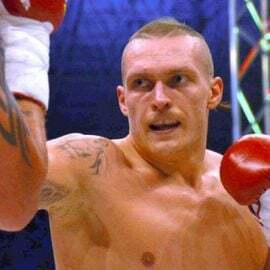 The 6-foot-1 boxer-puncher turned pro in December and is still learning his trade at the four-round level. 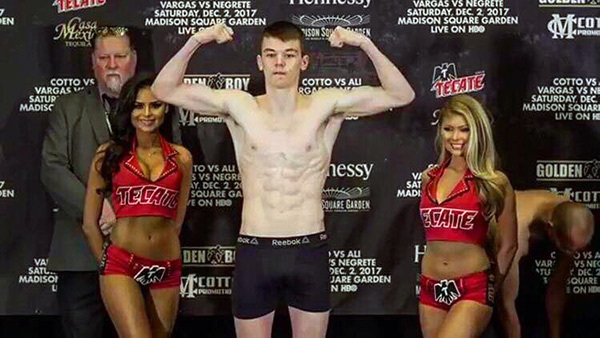 McKenna’s 22-year-old opponent tonight brings the experience of 14 pro bouts (plus the confidence of a winning record, 10-4) to their opener, which his brain trust – Sheer Sports Management and Golden Boy Promotions – hopes will provide quality rounds of experience for the Irish lad to grow on. McKenna (4-0, 3 knockouts) says he’s ready to be tested. 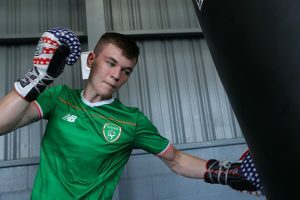 McKenna, who lives in Woodland Hills, California, about a 15-minute drive from Pullmans, his home gym since the start of the year, was an eight-time national amateur champ in Ireland. He also excelled at the youth international level, winning medals at the Junior World and European tournaments. 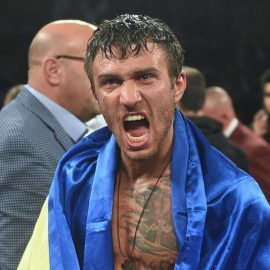 However, prize fighting is different from amateur competition, and while his development progresses with each professional bout, his pro education takes place at Pullmans and other Southern California gyms. 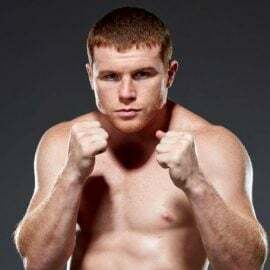 “My brother and I have sparred with top lads and some world-ranked fighters at Legendz Boxing gym in Norwalk (California),” said McKenna, bringing up 21-year-old Steven McKenna, also a former amateur standout set to turn pro. “We’ve worked with (NABF 130-pound titleholder) Ryan Garcia, Roberto Arriaza, an undefeated welterweight contender (No. 6 by the WBO), Brian Castano’s brother (Alan), a really good middleweight prospect, and Fabian Maidana, Marcos Maidana’s younger brother (the WBA’s No. 8-rated contender). 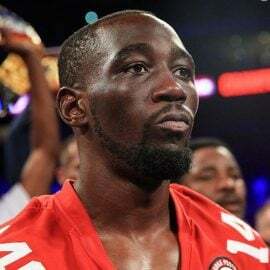 At Pullmans, Aaron and Steve are surrounded by more experienced and advanced pros, including Lipinets, 10-0 featherweight standout Tugstsogt Nyambayar (rated No. 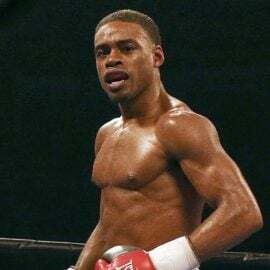 5 by the WBC), once-beaten bantamweight/junior featherweight prospect Joshua Greer, and junior middleweight fringe contender Nathaniel Gallimore (rated No. 10 by the WBC). On the day The Ring visited the gym, Miguel Contreras, a 5-0 lightweight prospect from Bakersfield, California (also managed by Sheer Sports), and noted middleweights Shane Mosley Jr. and Hugo Centeno were also working out. McKenna wants to catch up to his gym peers as soon as possible. “I’d like to end the year with seven fights and keep that pace next year,” he said. Golden Boy and Sheer Management will try to get McKenna as much media exposure possible while keeping him busy. 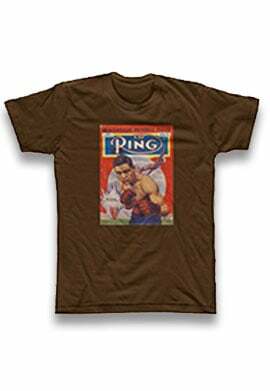 Two weeks ago, he was a guest on the first episode of a Facebook Watch series called “Throwbacks,” in which the hosts (Oscar De La Hoya, Adam Carolla and Micky Ward) review old fights (in this case Ward’s epic first bout with Arturo Gatti). They also watched one of McKenna’s pro bouts. Nine months into his pro career, it sometimes seems like a dream to McKenna. 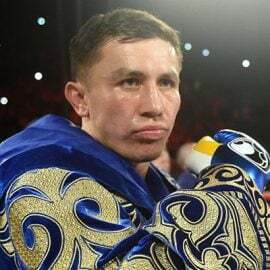 The ultimate dream, he says, is to return to Ireland for a major fight.